So keep reading to find out whether bettas can live with shrimp AND if they can, what are the best types of shrimp to house your betta with! 1 Can Betta Fish Live With Shrimp? 2 What Environment Do Shrimp Need? 3 What Do Shrimp Eat? 6 Will A Betta Eat Ghost Shrimp? 8 Will Bettas Eat Cherry Shrimp? 10 Will Bettas Eat Amano Shrimp? The good news is that in the majority of cases, bettas and shrimp will be able to live together peacefully. However, it’s always important to remember that it depends on the temperament of your betta. For bettas and shrimp to live together you need to make sure the tank is right for both of them. What Environment Do Shrimp Need? Having the right environment in your tank is going to increase the chances of your betta and shrimp living peacefully. The first addition to your tank should be a lot of hiding places (if you don’t already have them). You should use real plants or silk plants to give your betta and shrimp lots of places to hide in. Also when bits of plant fall to the substrate they will make a nice dinner for your shrimp! As well as plants you should also include some ornaments and other types of hiding places as well. Just make sure that you don’t add anything that’s hard or sharp as this can damage your bettas fins. When adding plants to your tank there are two types you can choose. Low light plants and high light plants. Both types will provide your shrimp with food so it’s all down to personal preference. In a low light tank, you can grow java moss and java ferns, while a higher tank can grow living substrates as well as increase algae growth. You should also have a tank that’s big enough to house your betta and shrimp comfortably. a 10-gallon tank is the minimum size you should use for such a scenario. It will be hard to overfill a 10-gallon tank with shrimp as long as your careful. And the extra space will decrease the chance that your betta will attack your shrimp. Shrimp are scavengers so if your feeding your betta correctly you shouldn’t have to worry too much. However, that doesn’t mean you shouldn’t think about them from time to time. You should make sure your shrimp are getting a mixture of meat and plants. They’ll normally do this themselves by scavenging anything your betta doesn’t eat quickly enough. If you’re wondering what shrimp you should choose then the 3 most popular choices are ghost shrimp, Amano shrimp, and cherry shrimp. Ghost shrimp also keep themselves to themselves. They’re not going to pester any fish in your tank including your betta. Not only will this reduce the risk of them being attacked, but it will also reduce any stress your betta might have. One thing to be aware of when adding ghost shrimp to your tank is that they breed quite easily. If your aquarium is almost at full capacity then you may need to reconsider getting ghost shrimp. However, the chances are that your betta will eat most of the babies. When introducing ghost shrimp to your tank you should do it in groups of 2-4. Less than 2 and your shrimp could become lonely, more than 4 and pregnancy and water quality problems could become an issue. If you take care of your ghost shrimp you can expect them to live for up to a year and a half. In fact, if you keep them in the right conditions then you may only need to buy a group of them once, after that they can keep reproducing to keep your tank stocked. If you’re wondering how many ghost shrimp you can keep, then I wouldn’t recommend any more than 20 with your betta. Will A Betta Eat Ghost Shrimp? Because of their size, the chances are that your betta won’t eat ghost shrimp. However, if you’re not feeding him properly this may change. The only way to know for sure is to introduce ghost shrimp to your tank and see what happens. Because they’re so inexpensive you won’t have to worry about wasting money if they get eaten. A cherry shrimp is a little it riskier than ghost shrimp but that doesn’t mean you shouldn’t consider them. The first thing you’ll notice is that they’re often smaller. The females grow to 1 inch whereas the males are much smaller. So there is a chance your betta will see the males as food. However, luckily, it’s only the female shrimps you see in most tanks. 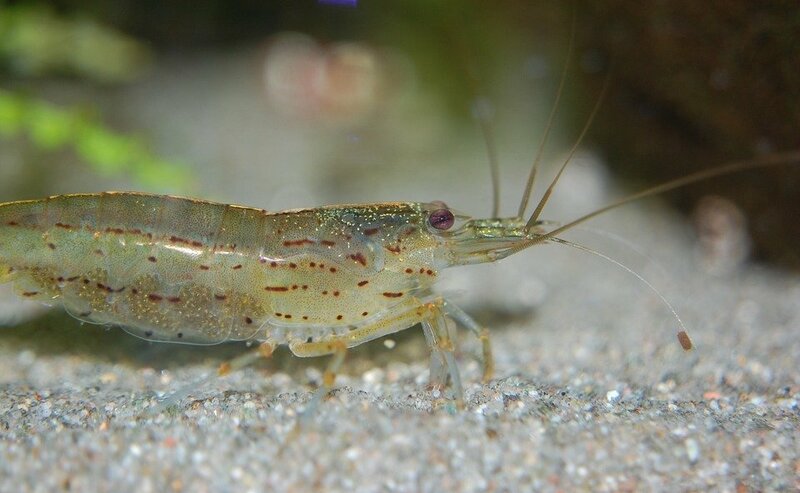 The females are the shrimp with the bright red coloring whereas males lack this. Because of this, the chances of you buying a male are smaller. Just because your tank lacks males doesn’t mean you won’t notice any baby cherry shrimp though. Because the females are almost always carrying eggs with them. If your tank has a lot of hiding places, such as plants and ornaments, then chances are your cherry shrimp will have babies in no time. Cherry shrimp need a pH of 6.5-8 and a water temperature of 57-84°F. Once again you can see both fall nicely within the range that bettas need as well! A cherry shrimps size varies. A female cherry shrimp will grow to 1 inch, but the males will be a lot smaller. When you buy cherry shrimp you’re not just going to be getting a tank mate, you’ll also be getting an alga cleaning machine. Any alga that is on the side of your tank, substrate, and ornaments will be eaten in a few weeks when cherry shrimp are in your tank. However you shouldn’t just let cherry shrimp live off algae, they need a diverse range of food. While you should feed them meat, the vast majority of their food should be vegetation. You can blanch vegetables for a minute or two before feeding it to them, or you can buy specific food such as algae tablets. Will Bettas Eat Cherry Shrimp? Any fish that can eat your cherry shrimp is going to. To limit this as much as possible try to buy the biggest shrimp in the shop, and avoid males. However, if you know your betta has a good temperament or you’ve kept shrimp in the past with him, then the chances are your cherry shrimp will be fine! Last on the list of great shrimp you can keep with your bettas are Amano shrimp! They’re the biggest shrimp out of the three and can grow over 2 inches in length. Unlike the cherry shrimp, they’re also not brightly colored. Amano shrimp are normally grey in color with dots and stripes often running along their sides. It’s important to remember that if you plan on having Amano shrimp they also have long lives. Unlike other shrimps which only live for a year, Amanos can live for 2-3. This means you don’t have to worry about restocking your tank with them! You also won’t have to worry about your Amanos pestering your betta as they normally keep to themselves. However, you may notice some aggression when it comes to feeding time. Whilst they won’t attack your betta it’s not uncommon for a pecking order to be created. In which the alpha shrimp will attack the others to get food first. This commotion could stress your betta, so it’s something worth remembering. Also, Amano shrimps water parameters overlap with bettas, so you won’t have to make any changes to add Amano shrimps to your tank. They like a pH between 6-7 and water temperature between 70-80°F. If you want to add them to your tank then once again you should make your tank as planted as possible. One great reason to do this is that Amano shrimp shed once a month. In this period they are even more vulnerable than normal and will try to hide. Adding lots of plants and hiding places is going to reduce the stress they are feeling. And while Amano shrimp are renowned for eating algae, that shouldn’t be their only food source. Make sure you’re supplementing their diets with sinking pellets and meat that will sink to the bottom. This will keep your Amanos happy and healthy! Lastly because of their size you should avoid putting Amano shrimp in a tank that’s too small, so stick to 10 gallons. And make sure you’re only putting 1-2 shrimp per 2 gallons to make sure you don’t overstock your tank too much! Will Bettas Eat Amano Shrimp? If you’re worried about your shrimp being eaten by bettas, then Amano shrimp are your best choice. Because of their large size the chances of them getting eaten by bettas or any other fish are incredibly low. All of these shrimp are great choices for your tank, dependent on your betta. If your betta has a nice temperament then they will all fit in perfectly! However, if he’s known to be aggressive, no matter what tank mate is added they probably won’t survive. 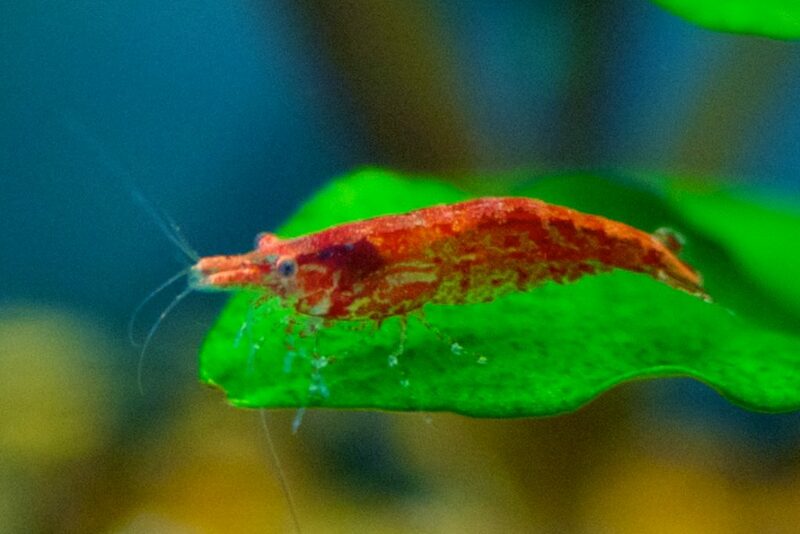 My personal top pick would be Amano Shrimps, but cherry shrimp and ghost shrimp are also fantastic choices as well! If you have any more questions leave them below! Otherwise here are some more great and unusual tank mates that can live happily with your betta! African Dwarf Frogs – If you haven’t considered African dwarf frogs then you definitely should! They make great tank mates as long as certain conditions are met! Keep reading to find out what makes them so great, and how you can help them live long and happy lives with your betta! Snails – Snails like shrimp are a great choice to add to your tank. Especially if you want to keep it clean! Find out what snails are the best and what to do when snails breed out of control in this article! Platies – Platies are one of my favorite fish, and their peaceful nature and beautiful colors make them a great choice for bettas. 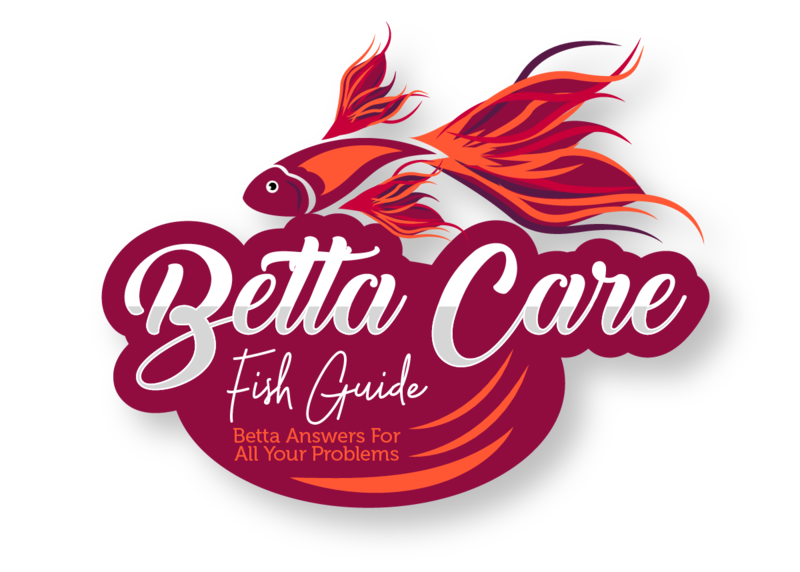 Find out how to care for platies and bettas effectively and what to do when they have too many babies! Mollies – Mollies like platies are another great choice, however, they can also breed quite a lot. If you want to find out which mollies to buy and which ones you should definitely avoid then this article is perfect for you! Tetras – Tetras are the staple of many great aquariums and for good reason! They’re hardy and friendly. And you won’t have to worry about your betta catching them if he’s aggressive because they’re much MUCH faster swimmers!